The Pyle waterproof Bluetooth marine grade speaker system provides Compact audio control. 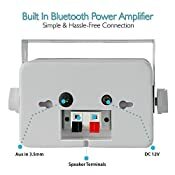 Used in automobile and mobile vehicle applications, Built-in Bluetooth audio streaming provides high- powered sound on the go! quickly connect & stream audio from all of today’s latest devices (works with smartphones, tablets, laptops, computers, etc.). 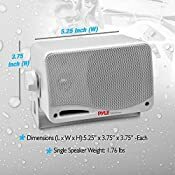 This Compact, lightweight and portable speaker pair allow for Universal mounting in Convenient locations -- thanks to the included swivel mounting brackets. 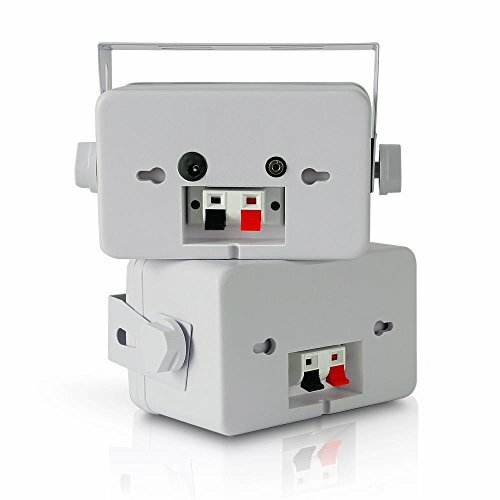 Rugged & heavy duty marine grade construction give the speaker housings waterproof and weather-resistance in any environment. 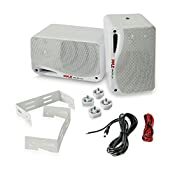 Additional system features include aux (3.5mm) jack to connect external devices, bass Reflex vent for added bass response, quick connect spring-loaded speaker terminals, along with an included power connection cable and speaker wire -- perfect for custom installations & applications. 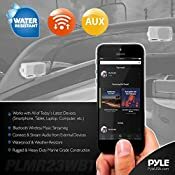 Enjoy Compact, high-powered and wireless music streaming ability with the Pyle Bluetooth Active & passive marine grade speaker system.